Having A Faerie House With Good Karma...Priceless! How much would you spend on a Faerie House? If it’s a little treasured memory moment sprinkled with good karma, then it could possibly be money well spent, or perhaps priceless! ~Once a twig or flower from your garden is placed in the small hole of your Faerie House, it will provide a familiar perch onto which your Faerie may light. To see your Faeries, you must sit quietly and be perfectly still in your body and mind. Each Faerie House is a gentle reminder to your spirit to be present in the moment and in the “Now,” for it is in this quiet place that we can see all possibilities. Wow, for real? Sounds so Zen! That’s right…I was sucked in hook, line and sinker! I was one of countless drawn to a whimsy little booth at the Edina Art Fair. 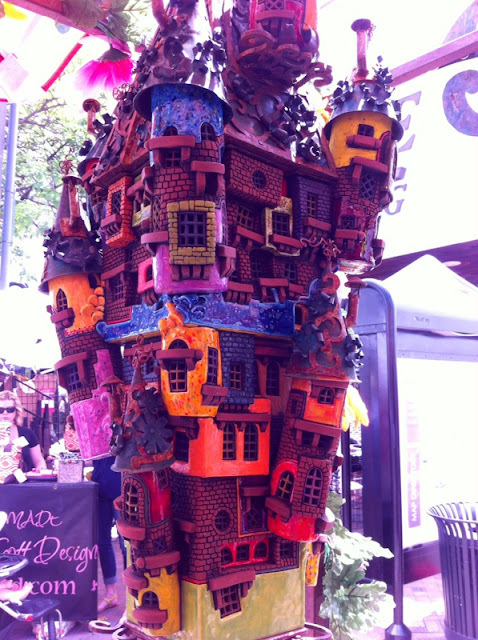 The colorful and handcrafted garden Faerie Houses were just one of the many artists showcasing their art pieces and extraordinary talent. The Edina Art Fair had its 49th annual event on June 5-7 that took place in Edina, MN on 50th and France. The art fair gathers an impressive group of gifted artists showing fine art exhibits consisting of paintings, metal works, glass art, sculptures of many kinds, jewelry, wood carvings, photography, pottery, clothing and, yes, garden Faerie Houses. I love the creativity that emerges from people that come up with brilliant and inspirational ideas and then turn it into beautiful art. I’m in awe and incredibly jealous! However, this beautiful artwork can come at a hefty price - from hundreds to thousands of dollars. The materials, handcrafted labor and time-consuming patience is certainly worth their price tag. Yet, THIS GIRL did not have a hefty wallet to match. I’m sure some people come to this art fair fully prepared to buy a treasured art piece and maybe have squirreled away a few bucks just for this event. I, on the other hand, turned up here by the request of my artistic daughter who wanted to check it out and be inspired herself. I’m sure there were others like us that thought it would be fun to just browse and soak in the artistic culture. Then it happened! After browsing and soaking in all this creative passion in the air, I had a compelling desire to find my own little treasure to bring home with me. It was really just to have something that symbolized a nice day spent with my kids and remembering how my daughter’s eyes lit up at all the artistic possibilities. It’s probably a mom thing, I’m sure! Needless to say, I didn’t come prepared to spend hundreds of dollars. 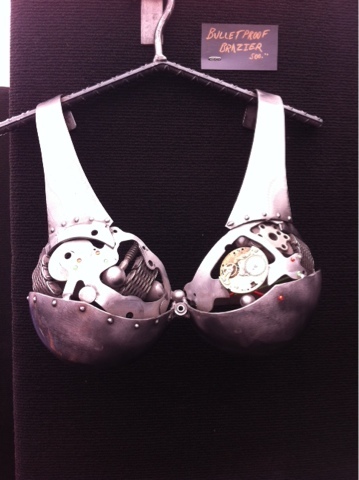 I wasn’t willing to spend $500 on this handcrafted metal Bulletproof Brazier. Didn’t think I’d need this for a “Beyond Thunderdome” moment anytime soon. I was short $850 for this amusing solid bronze sculpture. Undoubtedly, this would NOT have gone “Over Easy” with Mister O.
I know for a fact, my credit card would have been declined with a purchase price of $20,000 for this huge castle of Faerie Houses! So, instead I purchased one $75 Faerie House with a brass stake. Ideally, my bank account wanted to spend half that amount. Then again, let’s just say, that not only did I find these little houses to be charming and appealing, but the husband and wife team that delicately handcraft them were also charming and quite spellbinding. They were kind of gypsy and hippie like. The comfortably styled woman wore a flowing floral gypsy skirt with flowers in her hair and she spoke in a sweet soft voice almost “Faerie” like. Once I chose my little house, genuinely and unassumingly, she told me about the faerie spirit and the willing imagination. Gently grasping a little bottle hanging on a string around her neck, and with a sprinkling motion, she sprinkled and wisped it lightly over my little house with nothing I could visibly see. While explaining ever so enchanting, that my little Faerie House received a magical dusting of good karma that faeries would be sure to arrive and feel welcome. Holy Tinkerbell! How does one respond to that? She literally had me so captivated that I could only smile back and tell her thank you for the good karma and that I’d be sure to watch for the faeries to arrive. I was officially spellbound! There’s no denying, this was absolutely the best way to end this day! Yep, priceless! We walked away with a smile and my kids and I found it all in good humor. Honestly, besides the humor of it all, I’m all about positive energy and a sprinkling of good karma. It can’t hurt! 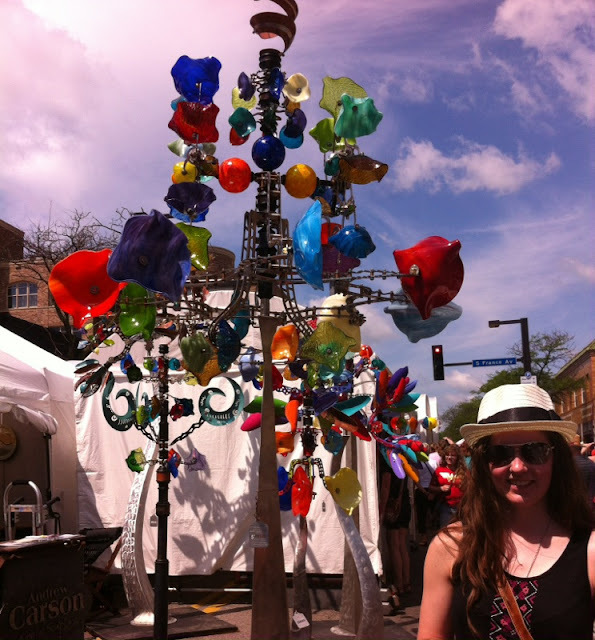 If you’re in the area, put the Edina Art Fair on your calendar for next year. Everyone should get a sprinkling of good karma and a dose of creativity. 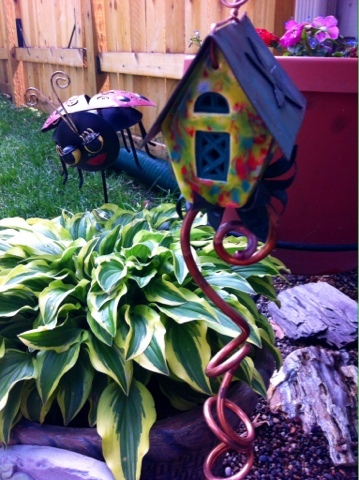 Or check out www.faeriehouse.com for your own Faerie House. In the meantime, I’ll just sit quietly with "a square of chocolate" and watch my little Faerie House to welcome new visitors. 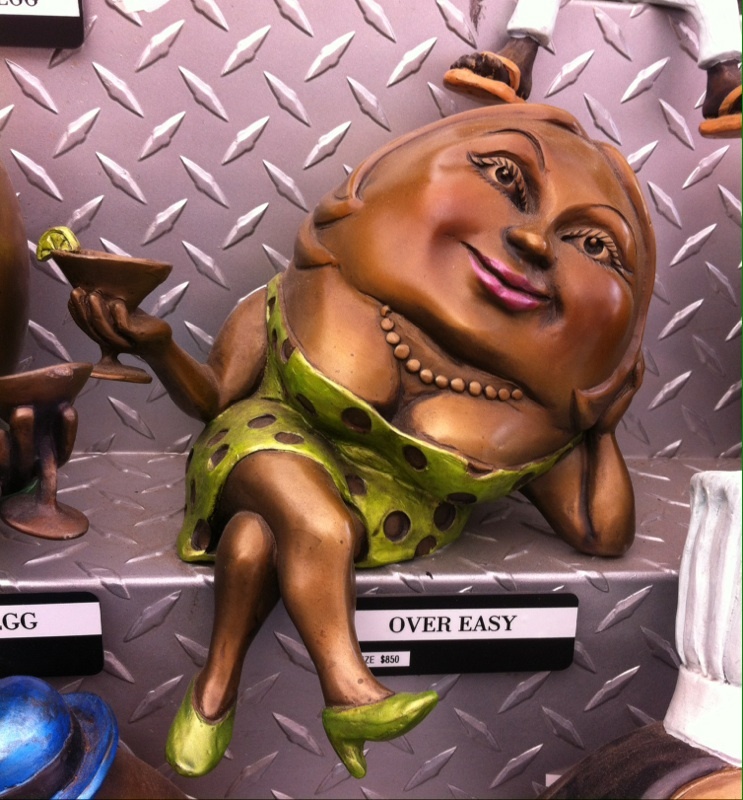 You can be sure for next year’s art fair, that I’ll try to have an art budget set aside for any “gotta have” finds. Besides some good karma, I just might come home with a Bulletproof Brazier!! Thanks Dad - I'm An Over Thinker!